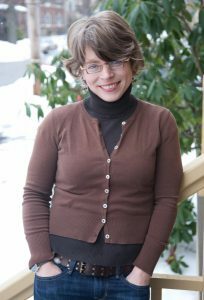 2018 F. Joseph Callahan Distinguished Lecture to feature Jill Lepore, historian, professor and writer, speaking on the topic of American history. Can a divided nation have a shared past? And how does this history relate to issues in contemporary American culture? Speaking on the topic of â€œAmerican History from Beginning to End,â€ author, professor and essayist Jill Lepore will delve into these questions, along with the challenges and considerations involved in writing about United States history. Lepore is Professor of American History at Harvard University, a staff writer for The New Yorker, author of several prize-winning books, and recipient of many honors, awards and honorary degrees. Her academic areas of emphasis include â€œexploring the absences and asymmetries of evidence in the historical record, with a particular emphasis on the histories and technologies of evidence and of privacy,â€ according to her Harvard University biography. Lepore regularly contributes articles on American history, law, literature, and politics to The New Yorker, along with cultural critiques. Several of her books were derived from essays originally published in the periodical. Lepore’s recent book, â€œThe Secret History of Wonder Woman,â€ was an international bestseller and winner of the 2015 American History Book Prize. Her next book, â€œThese Truths: A History of the United States,â€ will be published in September 2018. Lepore lives in Cambridge, Massachusetts, with her husband and their three sons. The lecture will be held on Wednesday, March 7, 2018 at 6:00 PM as part of the Think Forum series, and will be followed by a discussion and audience questions. Presented at Case Western Reserveâ€™s Milton and Tamar Maltz Performing Arts Center at the Temple Tifereth â€“ Israel, 1855 Ansel Road, Cleveland, you can reserve free tickets for the lecture online, or call the Maltz Performing Arts Center box office at 216.368.6062. The Callahan Foundation is proud to sponsor the lecture series. Each year, the F. Joseph Callahan Distinguished Lecture features a speaker to engage the Greater Cleveland community in active discourse about important topics of our time. From prominent academic leaders to national experts, the annual series honors a candidate who emphasizes the values of excellence, integrity and respect.